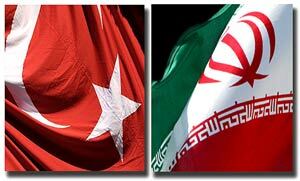 Iranian Foreign Minister Ali Akbar Salehi said on Saturday that Turkey’s decision to host an early warning radar as part of NATO’s missile defense system has caused concern for the Islamic Republic and many of its neighbors. Turkey’s decision to host the system “has caused worry for the Islamic Republic and many of its neighboring countries. We do not see any necessity for the installation of such a system at this juncture that the region is witnessing various developments,” Salehi said in a joint press conference with his Armenian counterpart Eduard Nalbandian in Tehran. The system is ostensibly meant to counter an alleged ballistic missile threat from Iran. “We have always made efforts to resolve the existing problems in cooperation with our neighbors and to help improve peace, stability, and security in the region. We hope that we will prevent others from paving the way for misunderstanding to occur,” he stated. He also said that regional countries should be vigilant about efforts meant to create dissension among them. Salehi also replied to a question about the two U.S. citizens, who were arrested in Iran in 2009. 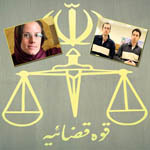 U.S. citizens Sarah Shourd, Shane Bauer, and Joshua Fattal were arrested by border guards on July 31, 2009 after illegally entering Iran’s territory from Iraq’s Kurdistan region. The three were charged with illegal entry and espionage. Shourd was released from prison on bail of $500,000 on September 14, 2010 and never returned to Iran. Her case is still open. On August 22, Bauer and Fattal were sentenced to three years in prison for illegal entry into Iran. They were also sentenced to five years in prison on charges of espionage for a U.S. intelligence agency. He went on to say that the executive branch is not involved in judicial issues and the consultations held between the Judiciary and the administration are merely meant to convey the news of mediation efforts that the leaders of certain regional countries have made. The Iranian foreign minister also expressed hope that the case would be closed in such a way that would bring good news for the families of the two U.S. citizens and the families of Iranians imprisoned in the United States. On the relations between Tehran and Yerevan, Salehi stated that the two countries have historical relations and emphasized the importance of holding regular talks between officials of the two countries on various issues, particularly regional developments. The Armenian foreign minister also said that his country is keen to increase cooperation with Iran in all areas and expressed satisfaction with the process of the implementation of the joint transportation projects. Nalbandian also thanked Iran for its stance on the Nagorno-Karabakh issue, which has dragged on since ethnic Armenian forces took control of the region during a war in the early 1990s.